In 1924, at the convincing of Boston grocery tycoon Charles Adams, the National Hockey League decided to expand to the United States. Adams had fallen in love with hockey while watching the 1924 Stanley Cup Finals between the NHL champion Montreal Canadiens and the WCHL champion Calgary Tigers. 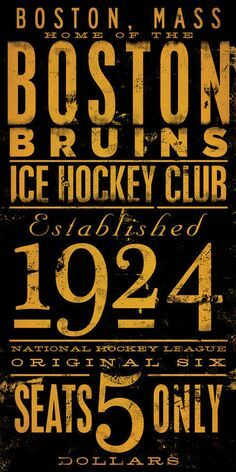 He persuaded the NHL to grant him a franchise for Boston, which occurred on November 1, 1924. With the Montreal Maroons, the team was one of the NHL’s first expansion teams.